HOW TO TAKE CARE OF OUR SKIN IN WINTER MONTHS? It is not only the summer when we should take care of our skin. As is the case with the harmful effects of sunlight, cold air and wind can also negatively affect your skin. That’s why skin care must be part of our daily routine in winter months as well. Otherwise, severe weather conditions can cause serious damage to our skin! So what should we do to maintain healthy and problem-free skin in winter time? Of course the most important thing to ensure this is to embrace the right skin care regimen to follow regularly. Here are some skin care tips that would help you in winter! Just as we go for thick clothes in winter and thinner clothes in summer we should also act with this in mind when trying to find the right skin care products. 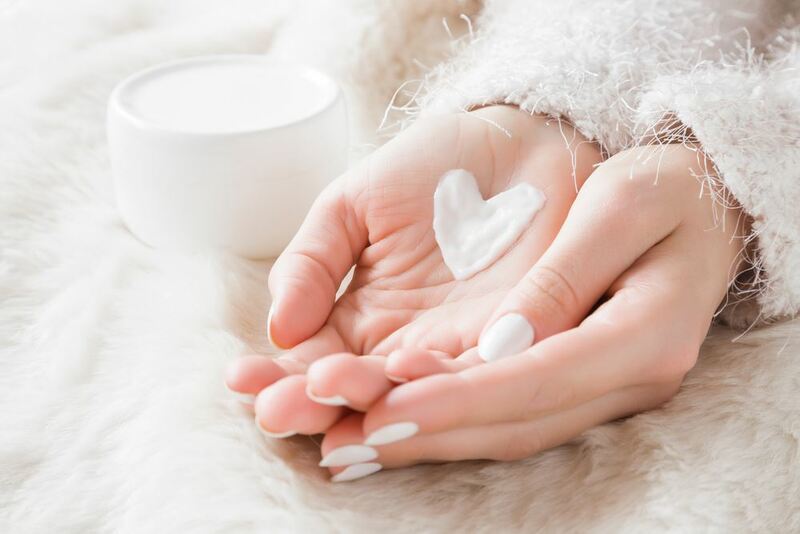 Be aware of the seasonal characteristics when shopping for skin care products in winter, and opt for the products which contain the right ingredients to fight off the harsh winter effects! There is no doubt that it is our hands which are affected the most by the cold and windy atmosphere of winter months. That’s why they need the utmost care. Failure to give them the necessary care may cause your skin to dry out and develop an itchy and cracked texture. Make sure that you apply moisturizer on your hands before you go out in winter, and do not forget to wear your gloves. In fact, it’s better to use moisturizer after every time you wash your hands. In winter months, you can use shower cream or oil instead of a shower gel. Because creams and oils mean less amount of water loss, and using such will help your skin stay moist for longer. Winter is the best time for peeling. It is a must to remove dead cells to have a healthy skin. So it will be helpful to make body and face peeling masks part of your regular skin care routines. This way you can also take the maximum benefit you can from your skin care products. Lips are another one of the most vulnerable parts of your body in winter! Cold weather can cause your lips and lip area to crack. That’s why we should moisturize our lips before we go to bed and use a lip balm before we go out. Our legs can dry out and go cracked in winter as we always keep them inside thick clothes. That’s why our legs need a good moisturizing lotion after every shower, and for softer feet go for lotions containing glycerin. Usually we need more than one product to take care of our skin in winter months. That’s because harsh winter conditions tend to cause more damage to our skin and this may require using more than one product. So, in winter months, use products like moisturizers, serums and creams all together instead of using one single product. 8. Watch out your perfume use! Skin care specialists often advice not to wear perfume in winter. That’s because the alcohol found in perfumes causes the skin to dry out more. But you don’t have to stop using your perfumes in winter; applying your perfume to your clothes instead of your skin will do just fine.